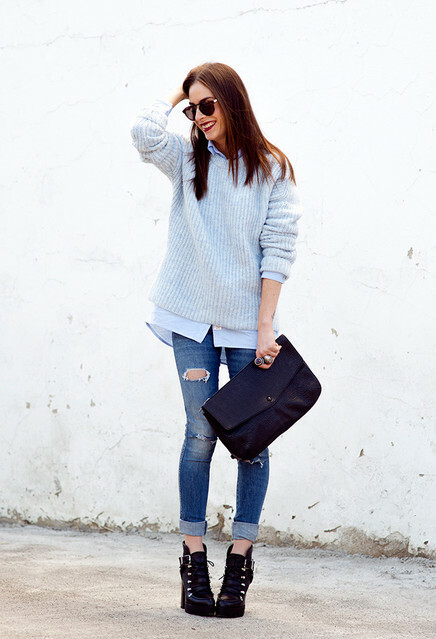 Your over-sized sweater can be the most fashionable item if you style it properly. It is possible to wear an over-sized sweater and still look stylish but yet comfortable and cozy. If you thought you could only wear your oversized sweater with skinny jeans – we challenge you to push your thinking. You can combine it with pants, leggings or skirts and create perfect look. The best way to style your oversized sweater is by adding nice thick belt, preferably a wide one with a trendy look that makes a statement and matches the color scheme. Other way to slightly structure your sweater visually is by wearing a coat on top. You could choose to wear it completely or just throw it on the shoulders. Fashionistas adore their cozy, comfortable sweaters and they are wearing them during fall, winter and early spring. There are a lot of ways that you can style this gorgeous piece of clothing to make it highlight your features. 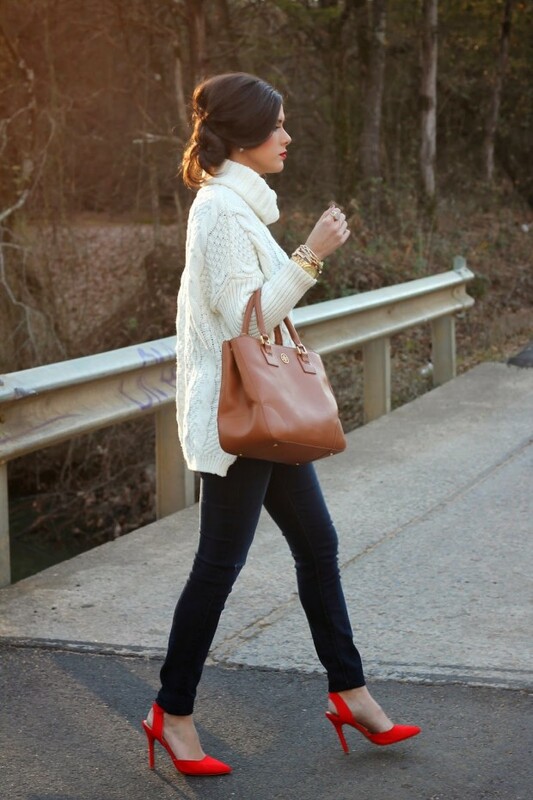 Take a look at the following photos and get inspiration for your next oversized sweater outfit idea.